Steven and Brian found Barbie a few days later. "Want to join us at the movies?" They asked. 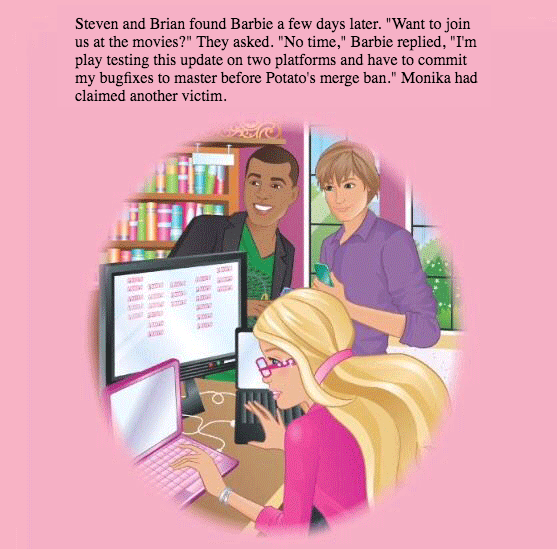 "No time," Barbie replied, "I'm play testing this update on two platforms and have to commit my bugfixes to master before Potato's merge ban." Monika had claimed another victim.